LOGO hair has just this stunning new rigged mesh Julianne hairstyle. This style comes with 3 sizes (Small, Medium, Large) to accommodate different head sizes, since rigged mesh also means the hairstyle is not adjustable. I’m wearing a fabulous new O-Floral Maxi Dress from Hucci. While I am not always a fan of ankle-length gowns, this Summer Blue floral pattern and dress style is casual & beautiful. I love all the color choices for this dress, and will probably wear them all. 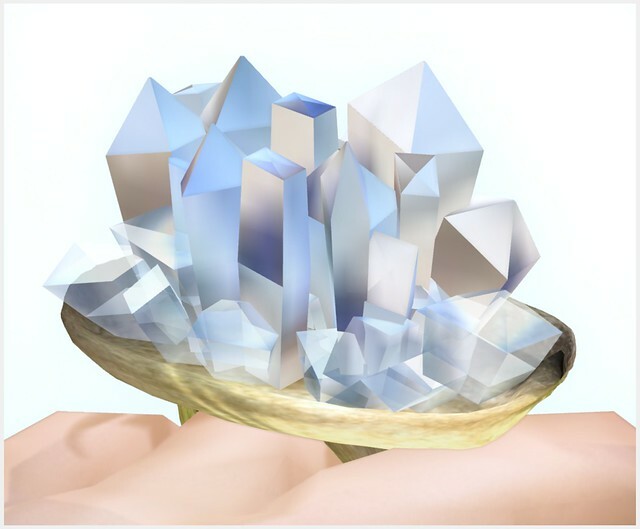 Gorgeous Crystal Cluster Ring (in Quartz) from Yummy! I like how you combined all those Collabor88 items together. It’s pretty how that blue dress matches your skintone.